On your big day, when all eyes are on you, you want to make sure that you're looking your best. And so do we! That's why 97.5 NOW FM, The Lansing Bridal Show, and Baryames Tuxedo are teaming up for your chance to win $1,000 towards your suit or tuxedo rental from Baryames Tuxedo! Baryames Tuxedo is going to make sure that when you "suit up" on the big day, you'll look the best you can. So enter below for your chance to win $1,000 towards your suit or tuxedo rental from Baryames Tuxedo! And if you still have some wedding planning to do, be sure to check out The Lansing Bridal Show at Eagle Eye Banquet Center on Saturday, January 5th or Sunday, January 6th. The Lansing Bridal Show has tons of vendors, so whether you need a photographer, a caterer, a venue, or even a dress - The Lansing Bridal show will have vendors to meet your needs! Get more information here.  97.5 NOW FM & Baryames Tuxedo want you to look good on your big day! So enter here for your chance to win $1,000 towards tuxedo or suit rentals from Baryames Tuxedos! Birthday* Must be 18 years or older.